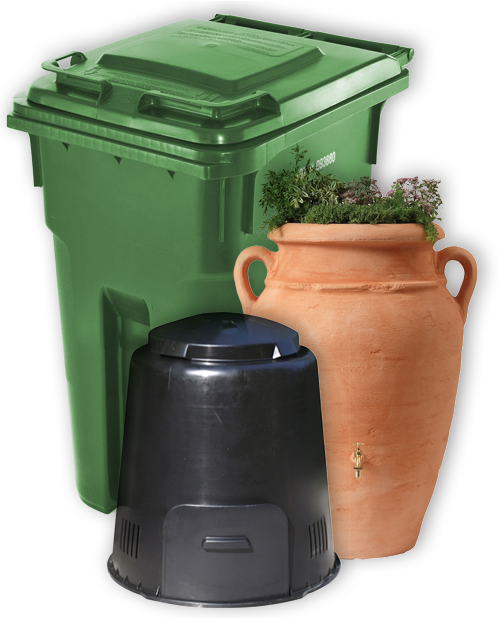 Wheeled bins, rain barrels, and composters : USD Global has the solution for you! In 1993, USD Global, then operating under the name of Gestion U.S.D, broke new ground in the field of waste collection by providing an on-demand door-to-door delivery service for wheeled bins. In 2004, the company positioned itself permanently in a market that was still in its infancy by raising the service and delivery standards for wheeled bins. 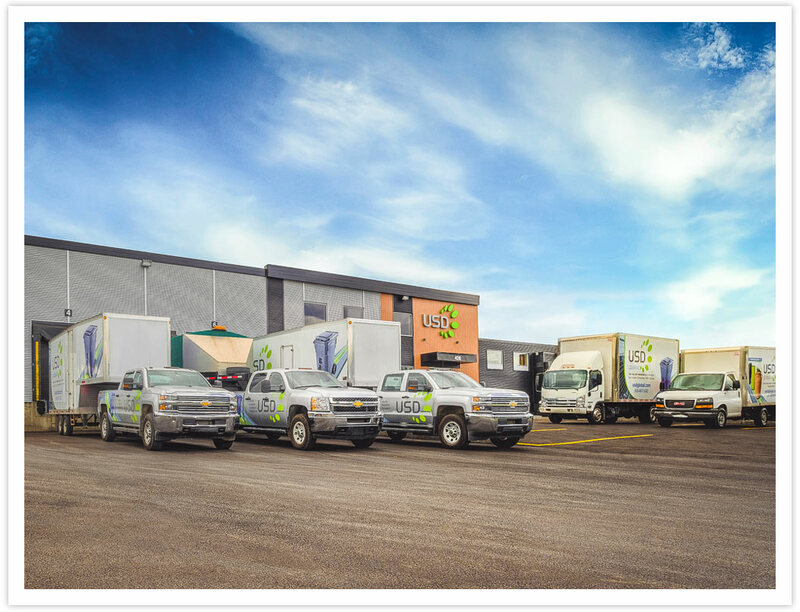 Bolstered by its association with IPL, the only Canadian manufacturer of wheeled bins, USD officially began its operations as a wholesaler of waste management products. The company was thus able to forge a real partnership with both manufacturers and customers. 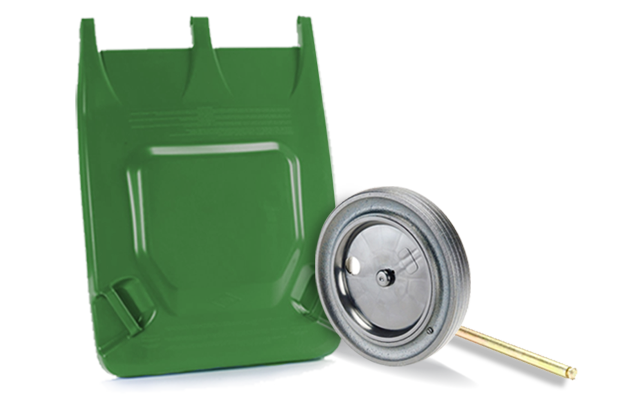 Because of its outstanding service, the Quebec company became a major player in the industry, significantly simplifying the task of supplying and maintaining wheeled bins for institutions and companies. In 2013, U.S.D. acquired Loubac, thereby adding the Montreal market to its portfolio. 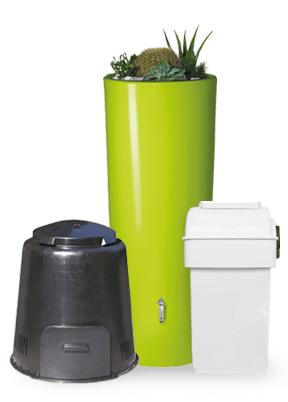 It has since become the leading choice in Quebec among cities and municipalities seeking to implement wheeled waste bins, and is the industry's primary wholesaler in Canada, supplying retailers effective solutions for the separate collection of garbage, recyclable materials, organic waste, and rainwater. In 2016, U.S.D. changed its name to USD Global, a name that perfectly reflects its status as the leading provider of global waste management products and services. same - to provide the best products available in the industry. The need to be at the forefront of innovation is the guiding force that drives the management team on a daily basis. 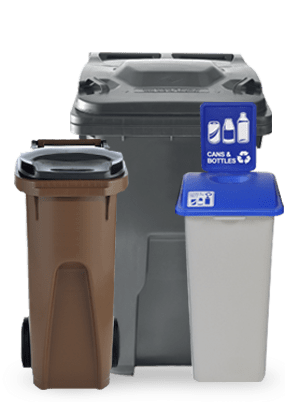 The Enviro division offers recycling products and wheeled bins that combine efficiency and durability, such as products from IPL, the only manufacturer of wheeled bins in Canada. Specifically designed for the Canadian climate and equipment, IPL products offer far greater sustainability than imported products. All these services are offered at our two branches: Quebec and Montreal. The Garden division provides complete innovative systems for rainwater collection and composting. In fact, USD Global has the largest selection and the best products available on the Canadian market. The quality of materials, sturdy design, and unique high-end finishes make these products practical, well thought-out, and easy to coordinate with any type of decor. 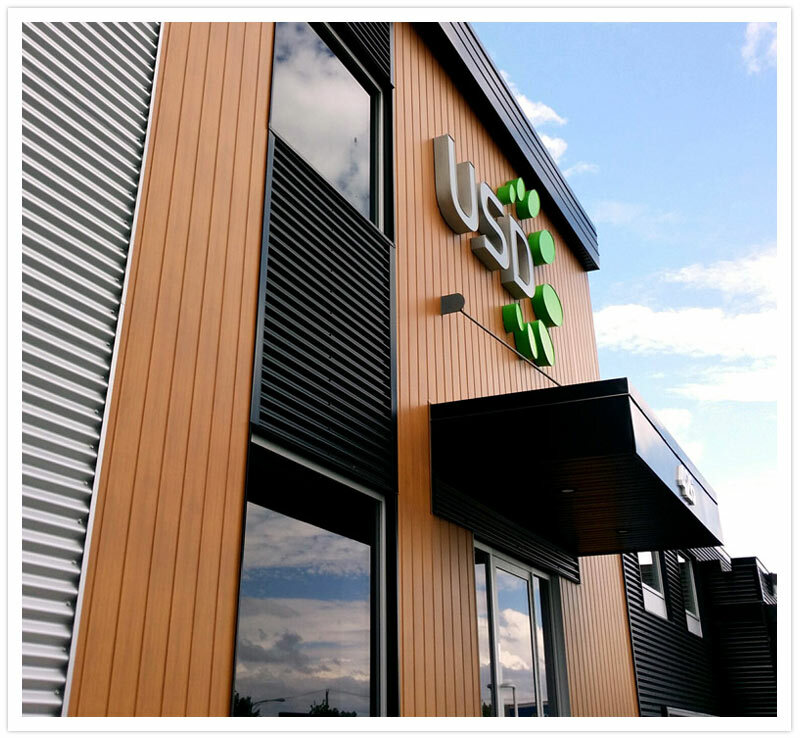 With an undisputable desire to continually provide the best possible products and services, the USD Global team is considered among the best in the industry. USD Global supports two causes particularly close to its heart, mainly because they concern children, their health, and their physical well-being. Check out these causes by visiting their respective websites. Fondation Alicia Mercier collects funds for research in pediatric oncology. GOLF QUÉBEC, encourages the next generation of golfers in the Quebec region. USD Global, your expert in the sale, implementation, and maintenance of wheeled bins and other waste management products.